National Cyber Security Awareness Month (NCSAM) has entered into its fourth week, introducing us into the topic of cyber security for small and medium-sized businesses and entrepreneurs. SMBs are extremely vulnerable to cybercrime. Small businesses have embraced online transactions, but with limited budgets, many lack the resources to afford effective security measures, let alone the millions of dollars they would need to respond to a data breach. Today, however, the need for businesses to invest in cyber security is essential for all companies. Large enterprises might be able to afford strong cyber protection but their massive customer base still makes them very lucrative targets. As we’ve seen with the recent network intrusions at JPMorgan Chase, Home Depot and Target, big corporations are not impossible to crack. Ultimately, all businesses are in the same boat, but as we all know, technology only goes so far. Skilled people make the difference in protecting sensitive data, so it’s more critical than ever that public and private sectors begin training and hiring cyber security professionals. Chris Conacher, Manager of Security and Compliance Solutions at Tripwire, knows the layout of the cyber security field quite well, including how far the industry has come. Professionals in the field have a variety of career options and specializations available to them. “You can be in operations, systems engineering, development, architecture, or testing and there is an established third-party service model, so it’s easy to create your own company and get work,” said Conacher. The danger of being breached is an ever-present concern, so as companies continue to integrate with the global economy and expand, more and more will recognize the necessity of implementing strong cyber security measures. This means that cyber security careers will multiply. In fact, Forbes reported last summer that the field is expected to grow tenfold in the next decade. Cyber security professionals will succeed in the field if they have two traits: inquisitiveness and an ability to communicate with others. Another important trait is the ability to communicate with others, especially since many people in the industry don’t speak the highly technical language. Therefore, it’s imperative that cyber security professionals can explain the value of their security efforts and how it benefits the overall business. Other skills, including an ability to analyze data and experience in project management, are also useful depending on the nature of the work involved. That is fortunate to hear. To face all the cyber threats confronting us today, we need all the help we can get. 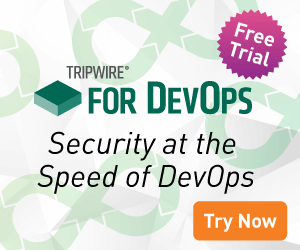 Tripwire has compiled an e-book, titled The Executive’s Guide to the Top 20 Critical Security Controls: Key Takeaways and Improvement Opportunities, which is available for download [registration form required]. 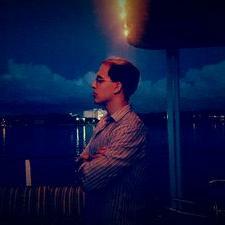 David Bisson has contributed 1,434 post to The State of Security.